The AOC Margaux is the only municipal naming of the Haut Médoc to bear the name of a first Grand Cru Classé, Château Margaux. It is one of the most prestigious naming of the Médoc and one of the vastest. The majority of the production are red wines with the exception of a quite small production of white wine under the AOC Bordeaux. 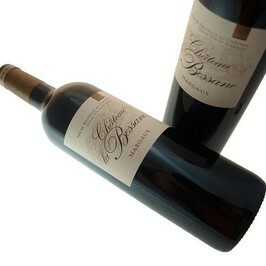 These red wines are fine, elegant with an ample mouth, supported with delicate and delicious tannins. "Margaux" is a feminine wine with one finale in harmony and in elegance.